George Saulo, 80, loving husband, beloved father and devoted grandfather, passed peacefully into God's care on Jan. 18, 2019. He was known to many as "Bud" or "Buddy." George was born on Jan. 24, 1938 to Michael and Catherine (nee Shimrock) Saulo. 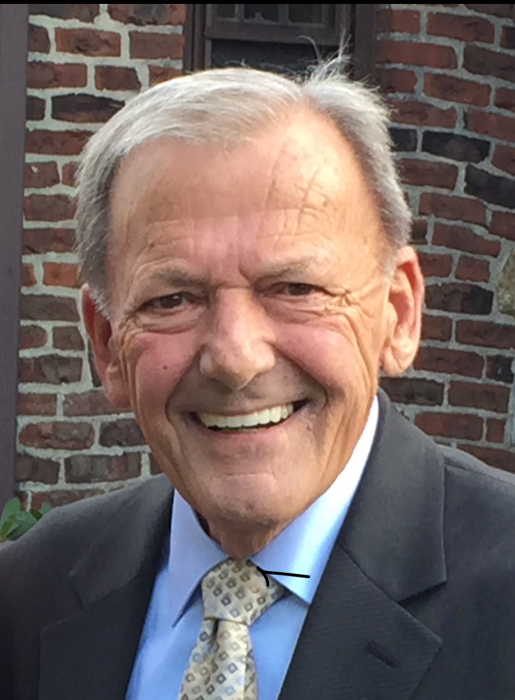 He grew up in Mariners Harbor, attended PS 44 and graduated from Port Richmond High School in 1955. He graduated from The College of Staten Island with a degree in Mechanical Technology in 1972. He enlisted in the United States Marine Corps in 1957. During his service, he received the Rifle Sharpshooter award for superior marksmanship and a certificate for the outstanding member of his platoon. He received an honorable discharge in 1959. He was a member of the Marine Corps League on Staten Island. As a young man, George was a member of the Mariners Harbor Reformed Church, where he served on Consistory as a deacon and sang in the choir. It is there where he met his future wife. Later in life, he attended the Reformed Church of Huguenot Park. George went to work in 1959 as a draftsman at S.E.and M. Vernon in Elizabeth, N.J. In 1963, he worked for General Cable Corp. in Bayonne, N.J., as an assistant plant engineer. He began working at Procter & Gamble on Staten Island in 1969 as a project engineer and later became a manager in the Ivory Soap Division. In 1987, he started working for the NYC Department of Design and Construction as a resident engineer on city construction projects. He retired in 2000. A talented musician, he began taking accordion lessons at age 11. Along with friends, he played music for weddings, parties and other various affairs. He eventually formed his own band known as the "Buddy Saulo Orchestra." Bud was always asked to bring his accordion to family functions. George was an avid Yankee and Jets fan. His hobbies included golf, saltwater and freshwater fishing and boating. He and his brother-in-law, John Fougner of North Carolina, often fished the Raritan Bay from their boat, "Bee-Jay". He was devoted to his golden retriever, Ben and his rescue dog, Sam. He also enjoyed vacationing in the Adirondacks at the family's home in Schroon Lake. More than anything, he enjoyed spending time with his family. A skilled craftsman, he designed and helped build his own home in Tottenville in 1981. He moved in 1990 to his current Tottenville residence, which he completely renovated. His late brother-in-law, Thomas Fougner, helped him with these endeavors, which included building a barn. He was known for his remarkable ability of being able to fix anything. A "jack-of-all-trades", he completed many projects and repairs around his home and those of family and friends. Bud will always be remembered for his generous nature and willingness to help at a moment's notice. George was a loving husband to his wife of 51 years, Ellen Saulo (nee Fougner), and devoted father to Deborah Haggerty and Sharon Ferguson. He cared greatly for his sons-in-law, Robert Haggerty and Al Ferguson. He was a proud and loving grandfather to Christopher, Madison and Mackenzie Haggerty and Lauren, Ryan and Sean Ferguson. He is also survived by his loving twin sister Mileva Saulo-Lewis, who resides in California and his loving mother-in-law, Elizabeth Fougner. He was deeply loved and will be greatly missed by his family and friends. Funeral arrangements are by Bedell-Pizzo Funeral Home, 7447 Amboy Road in Tottenville. The hours for visitation will be on Monday, Jan. 21, and Tuesday, Jan. 22, from 2 to 4 pm and 7 to 9 p.m. Funeral service will be held on Wednesday, Jan. 23, at 10 a.m. at Bedell-Pizzo Funeral Home. Burial to follow at Moravian Cemetery.